Dive into the world of Lucid Dreaming. Do you want to take control of your dreams and experience your wildest desires? Controlling your mind while dreaming will allow you to jump into a fantasy world where you control everything. This idea is called lucid dreaming. As a lucid dreamer you will be able to easily design and craft your own universe. However, many have found it difficult to achieve lucidity while dreaming. With Lucid Dream Ultimate you can become a lucid dreamer and fulfill all of your wildest desires. 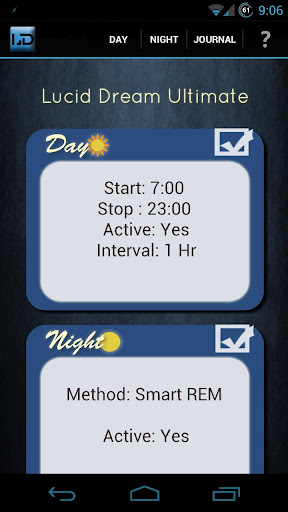 Recording your dreams has been shown to increase dream recall resulting in more lucid dreams. 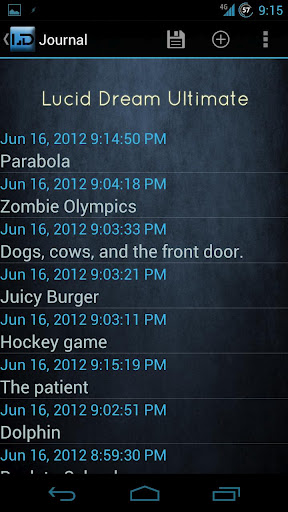 Lucid Dream Ultimate has an easy to use dream journal with multiple features. 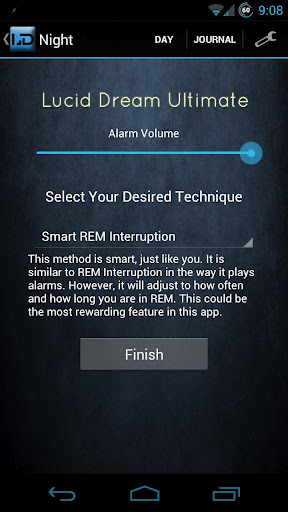 You will be able to easily navigate and log your dreams after waking up. You can also export your dreams to SD card for later retrieval. 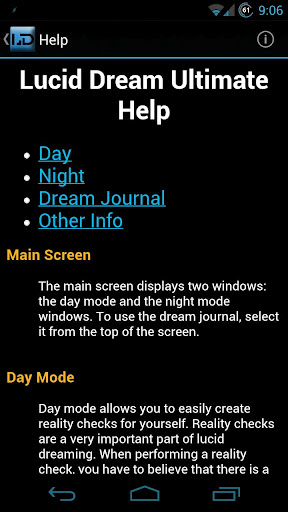 More features will be coming soon to the dream journal. 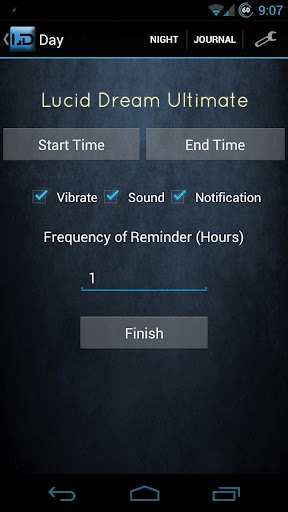 I can't promise that this app will make you lucid dream, but it can definitely help you get closer in many ways. Be sure to check out the help screen and watch for updates. RECEIVE_BOOT_COMPLETED for setting reality check after reboot. 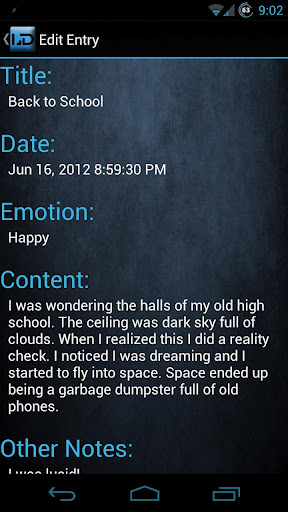 Write to Storage for exporting your dream journal.